Modern Remodeled!! 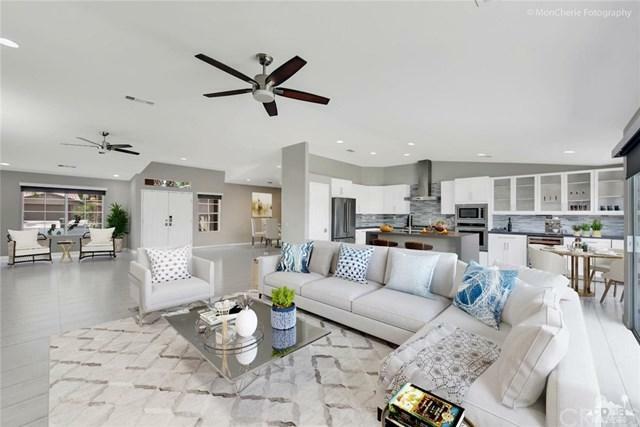 Popular Open Great Room Floor Plan. 3 bedroom/2.5 bath Pool home. Fire place features stack-stoned as the focal point. 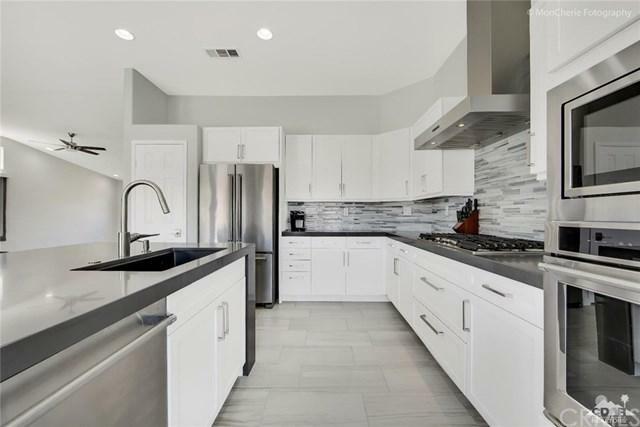 A sleek new extended Gourmet Kitchen of custom Cabinetry, Quartz slab counters, backsplash, waterfall edge Island, stainless steel appliances, wine cooler, pantry, lighting w/ morning room and a separate Dining area. 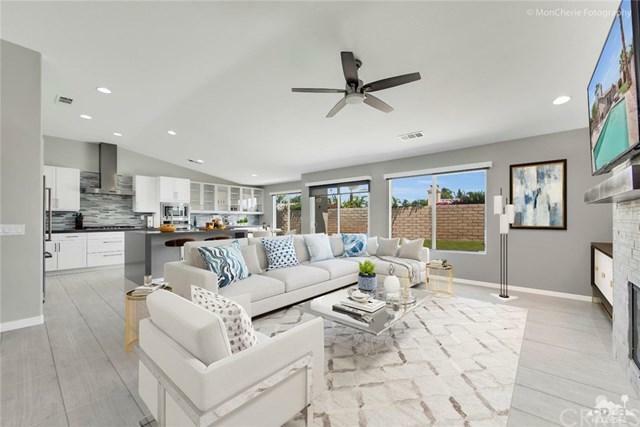 Tasteful design elements encompass custom paint interior & exterior, newer AC units, solar window coverings, upgraded tile flooring, baseboards, carpet, ceiling fans & much more. Luxurious Master Suite is complete w/sep. shower, spa tub, dual vanities & large walk-in Closet. 2 Guest bedrooms (one utilized as an office) & powder room. Located in one of the most coveted school districts, low hoa's & IID. 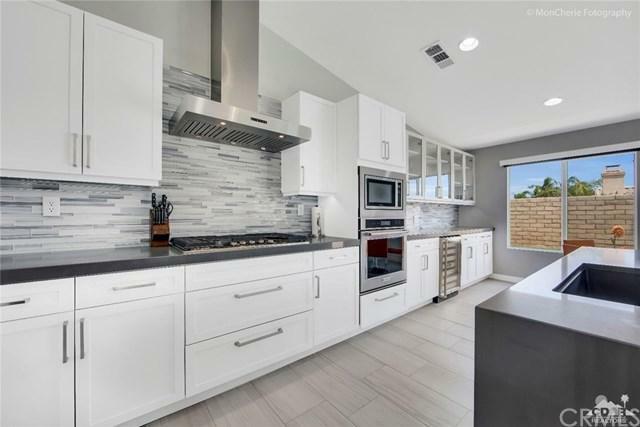 NOTE: Photos of home have been virtually staged to show how to use the space, and what colors & pieces of furniture would look the best in this home for new buyer to use as a possible reference. Sold by Michael Bannister of Windermere Homes & Estates.